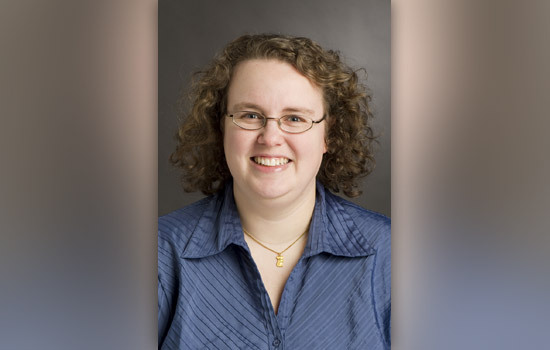 Palmyra resident Kelly Canham won the use of a specialized imaging device to support her doctoral research at Rochester Institute of Technology. Canham, the daughter of Garry and Rogena Canham of Palmyra, Mo., is a graduate student in the Digital Imaging and Remote Sensing Laboratory in RIT’s Chester F. Carlson Center for Imaging Science. She won temporary access to a spectralradiometer, an instrument that measures the amount of light reflected from a material at each wavelength along the electromagnetic spectrum. The award was made through the Alexander Goetz Instrument Program, co-sponsored by Analytical Space Devices Inc. and the Institute of Electrical and Electronics Engineers Geoscience and Remote Sensing Society. A total of seven award winners were named; two recipients are from RIT. Canham shares her award with David Messinger, director of the Digital Imaging and Remote Sensing Laboratory, and William Middleton, associate professor of sociology and anthropology at RIT. They are developing image-processing tools that will aid Middleton’s archeological research pertaining to the Zapotec civilization in Oaxaca, Mexico.